Military families lead stressful lives, with deployments, PCS moves, and many other military related issues adding to the normal day to day issues that every family deals with. It is important for military families to spend time with each other to relax and de-stress away from their regular environment whenever they can. This helps forget, at least briefly, about the issues they deal with all the time and to reconnect with each other. Fortunately there are fantastic places for military families to do just that. They are the Armed Forces Recreation Centers (AFRC). AFRCs are affordable resorts operated by the Army Family and Morale, Welfare and Recreation (MWR) Programs. They are located at ideal vacation destinations around the world. The AFRCs are exclusively for the military and those who support them. Authorized users include active-duty military, retirees, currently employed and retired Department of Defense civilians, reservists, delayed entry recruits, and family members. Room rates for the Armed Forces Recreation Centers are based upon rank, with junior members of the military paying less than more senior members. This allows young families to be able to afford these great vacation destinations too. The AFRCs often offer special discounts and seasonal promotions, making them even more affordable. There are currently four Armed Forces Recreation Centers, the Shades of Green at the Walt Disney Resort in Orlando, Florida, the Hale Koa Hotel on Waikiki Beach in Honolulu, Hawaii, Dragon Hill Lodge in Seoul, South Korea, and Edelweiss Lodge and Resort in Garmisch-Partenkirchen, Germany. No matter where you are stationed there is one within a reasonable travel distance. They are all beautiful resorts, each unique from the others. They all offer a variety of restaurants, bars, fitness centers, pools & hot tubs, conference facilities, and local recreation activities. The Shades of Green Resort at the Walt Disney Resort in Orlando, Florida – Visit the Orlando theme parks. Due to the topic of my website, Shades of Green (often just called Shades) is the AFRC that I’m most familiar with. It’s located right on Disney World property, making it the ideal place for your Disney vacation. But the other Orlando theme parks are not too far of a drive if you want to check them out too. Shades of Green has 583 rooms and suites, with standard prices of $95 – $131 per night based upon rank. Shades has two outdoor pools, including a kiddy pool and hot tub, several restaurants and arcades and a newly remodeled spa. Complimentary transportation to the Disney theme parks is provided and you can buy your park tickets right at the resort at a discounted rate. The Hale Koa Hotel on Waikiki Beach in Honolulu, Hawaii – Vacation in paradise right on the beach. The Hale Koa is the only other AFRC that I’ve personally been to. It’s located right on the Waikiki beach, walk out the back from the lobby, past the pool and you are right on the beach. I love the view! The Hale Koa has 817 rooms and suites, with standard prices of $79 – $116 per night based upon rank. The Hale Koa has two outdoor pools with a hot tub, five restaurants and two bars (I recommend the pool bar!). Fitness and spa facilities are also available. For entertainment they offer a twice weekly Luau, as well as magic and comedy shows. A wide variety of tours and excursions may be booked through the Hale Koa site. Dragon Hill Lodge in Seoul, South Korea – A great jumping off point for touring South Korea. Dragon Hill Lodge has 394 rooms and suites, with standard prices of $64 – $86 per night based upon rank. The Dragon Hill Lodge has an indoor pool and hot tub, five restaurants and two bars, and a shopping area called Market Square. Fitness and spa facilities are available. In addition to the restaurants, there is a deli-bakery, a Pizza Hut and Subway, and an ice cream/sundry concession similar to Cold Stone Creamery. Dragon Hill Lodge offers a variety of tours and activities in and around Seoul, some of which are, cultural location tours, cherry blossom tours, paragliding, concerts, and DMZ tours. Edelweiss Lodge and Resort in Garmisch-Partenkirchen, Germany – Vacation at the foot of the Bavarian Alps. The Edelweiss Lodge has 330 rooms and 19 cabins, with standard prices of $86 – $149 per night based upon rank. The Edelweiss Lodge has an indoor pool and hot tub, four restaurants and two bars. Fitness and spa facilities are available. The Edelweiss Lodge offers many different tour packages, from castle tours, to wine tasting. Other activities include walks, skiing, indoor rock climbing, arcade games, and kids programs. With all the Armed Forces Recreation Centers have to offer, I highly recommend that you try to take advantage of one or all of them. The locations and prices can’t be beat! Make some special memories before the next deployment or reconnect after one at one of these fantastic resorts. You’ll love it! 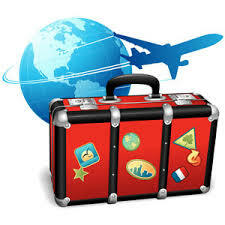 For more resources on travel, please see MilitaryOneClick’s Travel and Road Trip Pages. cool too. The Last Stand 2 Video Play The Last Stand 2 Now. I am glad you enjoyed it. The military does provide some amazing vacation destinations! My family just stayed in the Cottages at Kaneohe Bay. AMAZING! Thanks for finally writing about >Armed Forces Recreation Centers | MilitaryOneClick <Liked it! I would like a list like that too. Let me see what I can come up with. I am going to see if I can find a blogger to work on this. I think this is a great topic! Are you aware that EUCOM now excludes all retirees, AC and RC service personnel not assigned or living in EUCOM (Germany) from using any Edelweiss Lodge and Resort facilities? This has been going on for 4 months now. See the Edelweiss Lodge and Resort web site for the current eligibility criteria. You will be sickened and insulted at this theft of an earned benefit. Please write your congressman/woman and senators to complain. I totally agree! What an OUTRAGE. It was our money, service members of all Branches and Ranks, that paid for ALL the AFRC facilities over the years with using the PX/BX/Commissaries etc. Now when we have a chance to travel and not be confined by civilian job schedules we are denied access to a prime location. I don’t see how this can be denied to us. Its a US facility, granted on foreign soil, but none the less built with our funds. I would be willing to guess that we pay some sort of tax to the German government for its use. Not to mention all the other revenues that they receive by US retired and Active Military personnel traveling in and around Germany while visiting the Garmisch area. You bet I will be writing my congressman!! This definitely put a crimp in so plans we had to visit Germany, may just avoid the country altogether! !Hit them where it hurts, in the pocket book!! Every dollar not spent there helps!!! I agree, My husband and my daughter and myself stayed at Garmisch when we were istationed in Germany. I have always hoped to be able to go back. We spent twenty years in the Air For e and this was supposed to be one of our benefits. There are not many benefits left. I will write my Congressman.